Available in a number of colours, these adult anti-spill cups are practical as they are fun! Thanks to the deeply contoured design, these cups are extremely easy to grip, and the risk of spills is minimised due to their drinking valves and tight fitting lids. 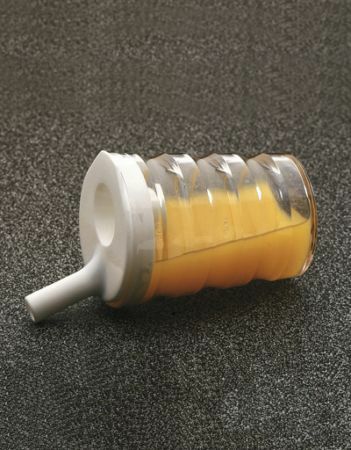 These non-spill cups can be used with either hot or cold drinks, and they have handy increments on the side to make it easy to measure volumes of liquid. very pleased with Items. Thank you. Very strong sturdy cup .A pity it wasn't of a larger size. My husband uses this cup throughout the night .and sometimes I have to get out of bed and refill it for him. Otherwise perfect.